Gilbane’s Facilities Management Services (FMS) provided Enhanced Transition to Operations (eTOP) services and a CMMS software upgrade from their existing TMA Express to WebTMA. 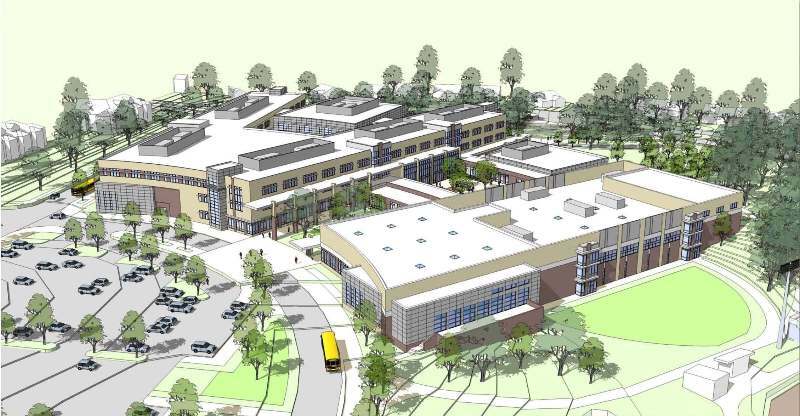 Gilbane, as Construction Manager for the new Wakefield High School, was able to utilize in-house FMS consultants in a unique and advantageous way by providing eTOP services that encompassed the collection, preparation, review, and loading of key facility management data associated with the construction of the new facility. As the collection point for all required construction documentation, Gilbane’s FM Services project team prepared and uploaded the space and location records, equipment records, vendors and manufacturers, OEM information and procedures, schedules, warranty information, hazardous materials, digital asset images, and associated electronic documentation into the client’s CMMS system. This information is critical to the development of a quality Preventative Maintenance program. Targeted to achieve Leadership in Energy and Environmental Design (LEED®) Gold, the project entails a multitude of sustainable elements including environmentally friendly geothermal heating and cooling technology, making use of many systems to get to this level such as geothermal wells, roof top photovoltaic panels, top of the line building envelope designs, rain water cisterns, waste heat from mechanical system used to heat the pool, and CO2 monitors to regulate fresh air flow providing advanced air quality features to students, faculty members, and the community. The result of this project allowed Wakefield High School to replace an obsolete CMMS system with a new web-based Facility Management system designed for school district requirements and allowed them to have a fully operational Preventive Maintenance program from day one of occupancy.